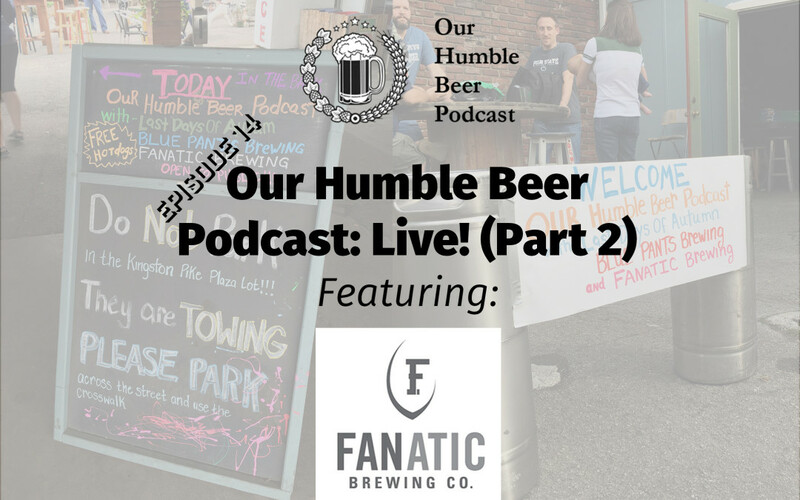 Part Two of Our Humble Beer Podcast: Live! continues as Chris & D.J. get the opportunity to talk to Marty Velas, the owner and head brewer at Fanatic Brewing Co. Marty, also known as the “Godfather of Craft Beer” in Knoxville, shares stories from his 19+ years in Knoxville’s craft brewing scene and discusses the future of craft beer in the Scruffy City. The gang also gets to try some of Fanatic’s new beer and finds out about the new updates to the brewery.